Whether it's heated competition during trivia night at the bar, board game night with the family, or just another weekday in front of the TV watching Jeopardy, it seems like a natural human condition to want to test our intelligence. Measures of intelligence are a constant part of our daily lives at work, school, or when socializing. If you haven't been invited to the Mensa Society, you probably don't know what your actual IQ score really is. Most educational instituations no longer issue "official" tests to measure intelligence quotient, but there is an official Mensa practice test. I'll warn you though, it's not easy. 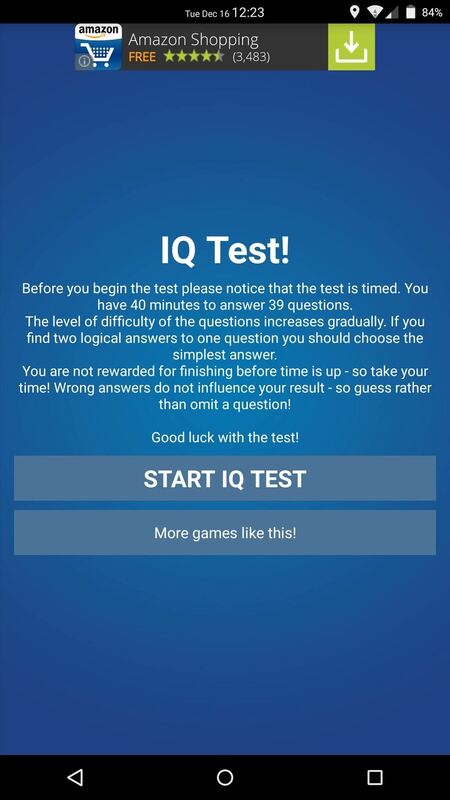 If you want to take a more lighthearted approach to challenging your friends on your unofficial IQ, then try this free IQ-testing app instead: Mensa IQ Test, available for free in Google Play Store from developer KlikApp. The app, which is definitely not affiliated with Mensa, is ad-supported with a few popups that may catch you off guard. It includes 39 questions with 40 minutes to answer them all. Wrong answers do not influence the result, so guess instead of skipping. 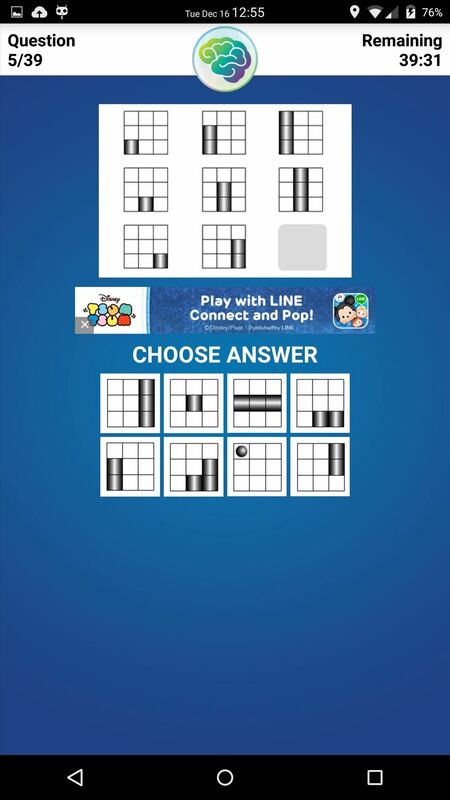 Try out the app and let us know your "IQ" score in the comment section below, and don't worry if you didn't score too well—this stuff is tough!